Many rumors of Apple launching an Apple tablet, which is believed to be a large tablet version of the iPhone/iPod touch have been spreading around. The latest rumor suggests that it will be called an iSlate. Our sources have told us that the rumor about Apple launching a product with the iSlate name is true, but the product won’t be an Apple tablet, it will be an eBook reader. The iSlate will be a competitor to the Amazon Kindle, Barnes and Noble Nook and other e-readers that are out there. Our sources have also told us that the iSlate eBook reader will run on Apple’s upcoming iPhone OS 4.0 application and will include a seperate App Store for eBooks. Apple will be announcing the iSlate eBook reader at WWDC 2010, which our sources says is being held on June 7. Here comes the good news for Harrisa Lover's. 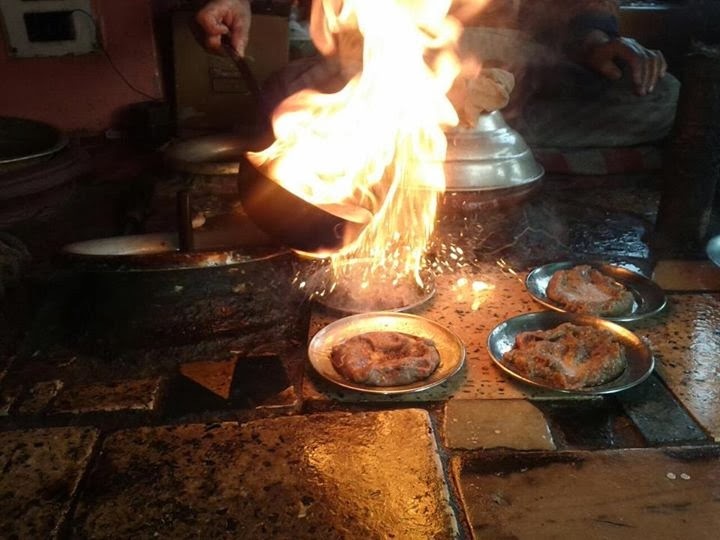 This winter KashTech brings you the recipe of the delicacy so that you may enjoy the authentic taste during winter and don't forget team KashTech while relishing the taste of Homemade Kashmiri Harissa. Onions,but the recipe calls onions specially found in Kashmir(praan), or in US you can use Spanish onions. Add all the ingredients in the list except the last two; that is the wheat flour and oil in a pressure cooker, and fill with water, until everything is soaked in it. Cook on Medium high heat, and turn down the heat to simmer after 2 whistles. Let it simmer for about 45 minutes to an hour. Turn off the heat and leave it like that till all the pressure is released. When cooled, remove the bones off the meat, and all the cardamoms, peppercorns, cinnamon stick and cloves. Separate the broth from the pieces. Using a Food Processor preferably (or a blender, if you do not have a Food Pro), grind the mixture coarsely, using broth as needed. If using Corn flour add it to a cup of the meat broth and boil it. Grind this with the meat mixture. Now put all the meat mixture, in a cooking pot (preferably non-stick, so you do not have to stir constantly). Cook it on medium high heat, stirring every 5 minutes (if needed add the meat broth to this) until you get the desired consistency. While serving (for the whole hareesa), heat about 1 1/2 cup oil, fry the onions till they are crunchy golden brown, and mix this in the meat mixture, along with all the oil. Serve with naan or just plain bread.we can serve kebabs with this, and at the end,have Noon chai. Security expert Nagareshwar Talekar's created this awesome utility which takes care of decrypting stored passwords from private encrypted store of these applications allowing users to retrieve saved passwords from multiple accounts with a single-click. Once retrieved users can export the recovered passwords to HTML or TEXT format for future use, the utility is compatible with Windows XP/2003/Vista/Windows 7 and can be downloaded from here. Much anticipated Google very own iPhone Killer "Google Phone" is now officially confirmed by the company, The phone named Nexus One will get manufactured by HTC for Google. 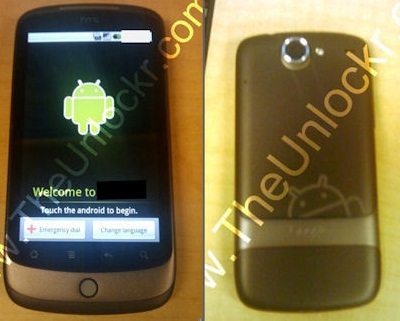 Although, not confirmed this is what the "Nexus One - Google Phone" is rumored to look like (HTC Passion). Running the latest Android 2.1 operating system the phone is expected to be arriving in January 2010. Update: Leaked Pics Of Nexus Available. 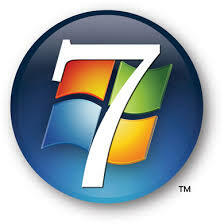 Malware has been blamed for a problem with the Windows 7 operating system, dubbed the 'Black Screen of Death'. Some Windows users are confronted by a totally black screen after they log on to their system. Initially it was thought that Microsoft's own security update could have caused the problem but that has now been ruled out. The software firm that suggested the security update was the problem has apologised for its claims. Reports suggest the problem also affects Windows Vista and XP. In a blog posting on its security site, Microsoft said that it had investigated the claims and "found that our November Security Updates are not making changes to the system that these reports say are responsible for these issues". The firm said that the behaviour was associated with malware, such as Daonol, and that this was probably the root cause. Software firm Prevx, who had said the November update may have been to blame, have since retracted their statement, saying it had been a "challenging issue" to identify the cause. "Having narrowed down a specific trigger for this condition we've done quite a bit of testing and re-testing on the recent Windows patches including KB976098 and KB915597 as referred to in our previous blog," the firm wrote on its website. "Since more specifically narrowing down the cause we have been able to exonerate these patches from being a contributory factor." Prevx apologised to Microsoft for "for any inconvenience" its earlier claims may have caused. The firm has issued a fix for the problem, which it says could affect "millions" of computers. "Users have resorted to reloading Windows as a last ditch effort to fix the problem," the firm's David Kennerley wrote in a blog post. "We hope we can help a good many of you avoid the need to reload." The firm said its fix did not work in all cases. "There can be many causes," said Mr Kennerley. "But if your black screen woes began in the last two weeks... or after running any security program (including Prevx) to remove malware during this time, then this fix will have a high probability of working." Mr Kennerly said the firm had identified "at least 10 different scenarios which will trigger the same black screen conditions". "These appear to have been around for years now," he said. The firm reports that the problem affects editions of Windows 7, Vista, XP, NT, and Windows 2000. Microsoft said that people who are affected by the problem should contact its customer service line. The "black screen of death" moniker is a play on the "blue screen of death", which appears when Microsoft operating systems crash.